Fayuan Pagoda is located in Beijing. It was first completed in the late seventh century during the Tang. Over the last thousand years, the pagoda was destroyed by warfare, fire, earthquake and rebuilt many times. The most surviving buildings date to the seventeenth-nineteenth centuries. 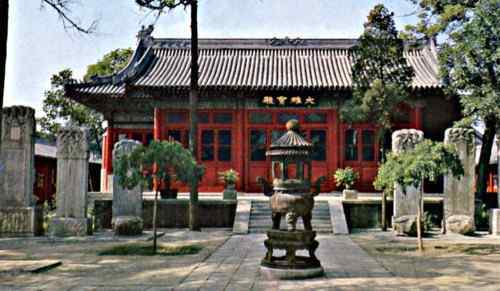 Fayuan Pagoda houses China Buddhism College. The next layer out is made up of buildings used by monks and nuns rather than lay people. There are dormitories, study halls, and dining halls for those who live in the pagoda.